As in most Michaelmas terms, St Anne’s Boat Club had a large number of novice rowers join. Due to only having six senior men and just enough senior women to fill a boat, we were keen to maintain the number of novice rowers. Fortunately, we had a number of committed novices, leaving us with enough rowers for two men and women novice boats for Christ Church Regatta at the end of term. The river spoilt us with green flag throughout the term, meaning that we were able to maintain those keen on rowing and not scare them off with only ergs! Also, the Captain of Coxes, Sophie Collis, did a fantastic job recruiting a record number of coxes who could gain experience on the water. This meant that crews could be set early giving time to get the teams bonding before the Regatta. Both the Novice Men and Women A boats took part in Nephthys Regatta, which happens a week before Christ Church, a first for SABC. Neither boat got through to the finals but it was good racing experience. After Nephthys regatta and a pasta party the night before, which pushed the limits of the human stomach, the boat club was ready to take on Christ Church Regatta! Christ Church regatta was, as always, a great event with some of the best results SABC has seen in recent years. Luck was not on the side of NMB this Christ Church, as from the start they were one man down, which meant an emergency substitute the night before who went on her first outing the morning before. Despite this, they managed to keep it a tight race against a slow Linacre A. 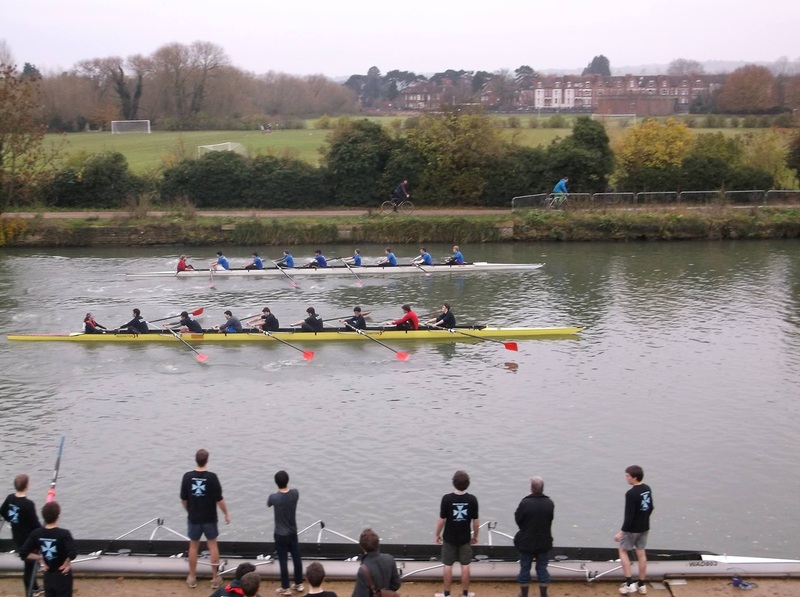 Their luck didn’t get any better on Thursday, although they were a full crew and ahead against Balliol B, a mid race seat coming off meant that they lost the race and got knocked out of the regatta. Novice Women B managed to get through to Friday’s races, beating St Anthony’s A whose cox steered a questionable line into the bank. They also comfortably beat Worcester B, who only rowed in 6s(!) but were beaten by Brasenose A on the Friday. MNA were confident after taking an A boat scalp at Nephthys, the guys nailed the start of their races throughout the week taking them to Saturday Races after comfortably beating: Exeter B (who had 4 seniors in stern 4), Balliol C, Mansfield B. Saturday put the boys against a suspciously fast Keble ‘B’, who took down more A crews then any other crew to get to the semi finals. Novice Women A performed well throughout the week, managing to get to the quarter finals after beating Worcester C, Wolfson A, and Merton A. The quarter finals placed the NWA against Brasenose A, this was looking to be a good race but boat troubles let them down when the girls lost two footplates off the start(!) 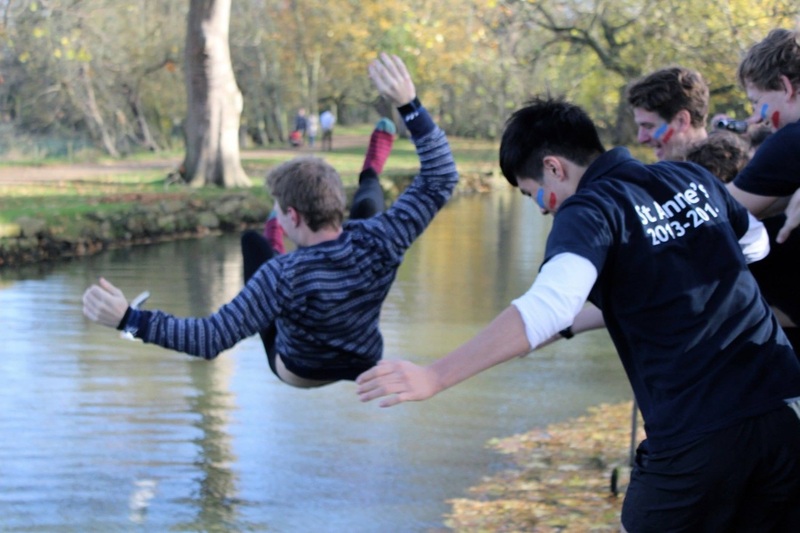 In spite of only having six rowers they managed to keep up with Brasenose well, but could not beat them to the line. This term has given us some precious moments and exciting races. The members of St Anne’s boat club now have their eyes fixed on Hilary term, Torpids. Bring it on!